Approximately 2000 music fans will flock to Rockin’ the Fields of Minnedosa (RFM) music festival this summer to see headline acts like Big Sugar and John Cochrane. While the music is captivating the crowd, the real action will be occurring backstage, where over 200 Minnedosans come together each year to pull this festival together. Although the vast majority of festival-goers come from far and wide, the RFM is organized by the community and for the community of Minnedosa, MB. Since 2004, this music festival has been held every August long weekend on the scenic shores of Lake Minnedosa, and has been organized by the RFM non-profit consumer cooperative. The RFM cooperative rose from the ashes of two for-profit music festivals in Minnedosa that went “financially and spiritually bankrupt.” After the private sector had twice disappointed the community, a local group of dedicated music fans decided to take matters into their own hands. To ensure that the new Rockin’ the Fields Festival would avoid the fate of its predecessors, its founders adopted a cooperative model and encouraged Minnedosans to take ownership of the Festival. The benefits have been enormous. Although hard statistics are lacking, RFM volunteer Grant Butler has other means of estimating the Festival’s wider economic impact. In terms of sales, “the Festival weekend is equal to the Christmas weekend for the Liquor Mart,” says Grant. The local Co-op service station and grocery store also have their busiest weekends of the year during the Festival. It is clear that the RFM means more to this community of 2500 than just an opportunity to hear great music. Spreading the economic benefits of the Festival throughout the community is a cornerstone of the RFM’s mission. The close relationships that the RFM has developed with local service clubs are key to achieving this goal. Groups such as the Minnedosa Lions, the Little River Game and Fish Association, and the Minnedosa Rugby club “have been onboard since day one,” says Grant. These are win-win relationships. The service clubs provide dozens of volunteers sell raffle tickets and in return, RFM has shared $125,000 in liquor sale profits with these organizations over the last seven years. This profit sharing arrangement ensures that the outside dollars that enter Minnedosa are circulated through the community to help fund recreation and educational programs for local residents. 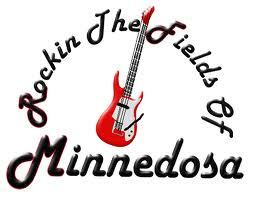 If stimulating local businesses, helping community groups, and hearing great music is your idea of a rockin’ good time, then head to the fields of Minnedosa this August long weekend and become a part of this great CED success story. Last week, the Province of Manitoba announced the innovative Neighbourhoods Alive! Tax Credit (NA!TC), which first appeared in the 2011 Manitoba Budget. NA!TC will provide a 30% credit to Manitoba corporations that make a minimum $50,000 donation to an organization with charitable status for the purpose of starting a new revenue-generating enterprise or social enterprise that hires people facing barriers to employment. CCEDNet is thrilled about the opportunities that the NA!TC could bring to our members and other charitable organizations in Manitoba working to create economic opportunities in local communities. This policy initiative is particularly exciting for CCEDNet as we, through the direction of our members, have long identified the need for stronger support for social enterprise development. CCEDNet – Manitoba, together with its partners from the Farm to Cafeteria Working Group, have published a policy brief on the benefits of local food procurement policies. The paper outlines the economic, environmental, and nutritional benefits of purchasing local produce, and provides examples of successful local food policies and initiatives. Did you know that for every $1 of net income resulting from agricultural operations in Manitoba, an additional $1.90 is generated in the Manitoba economy? Just imagine the opportunities for rural communities if the province used its significant purchasing power to procure local food. CCEDNet - Manitoba held it's 2011 Spring Member Meeting on April 28. As a member-led network, this was an important opportunity for members to set direction and discuss strategic priorities for the Network in Manitoba. The Member Meeting was also an opportunity to review achievements and activities from the past year on policy (Policy Resolution Report Card), governance (Evaluation Report), and activities to support CED in Manitoba (Activity Report). Earlier this month, the Province announced the Localized Improvement Fund for Tomorrow (LIFT), which will expand the Neighbourhoods Alive! (NA!) program into five additional communities. NA! is spreading beyond Winnipeg's core area into the Elwick, Weston, Osborne-Mayfair, Lavallee, and South Pembina neighbourhoods. In collaboration with neighbourhood groups, LIFT will build on the many strengths in these communities by supporting revitalization initiatives. LIFT will support a broad range of revitalization projects in these neighbourhoods, which will focuss on priorities such as capacity building, community economic development, greening, safety, recreation and the well-being of local residents. Brendan Reimer, CCEDNet Regional Director, presented this speech to a group of Winnipeg business leaders who are considering initiatives to provide stronger support for social enterprises. The presentation offers a concise introduction to the concept and purpose of social enterprises. 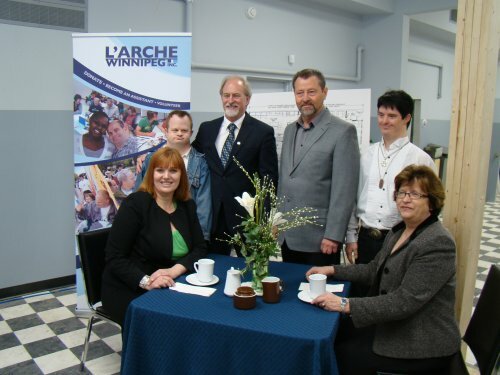 Brendan also offers examples of innovative social enterprises in Winnipeg and even draws a unique parallel between sandwiches and the social enterprise sector. CCEDNet has partnered with Skyworks Charitable Foundation in helping to promote the Home Safe documentary series, which examines the impact of homelessness on Canadian families. The three-part series examines the systemic roots of homelessness in Toronto, Calgary, and Hamilton as a consequence of economic restructuring, discrimination and displacement. More importantly, these documentaries give a voice to the families who are struggling with homelessness and presents an opportunity to hear firsthand the complex challenges of poverty. 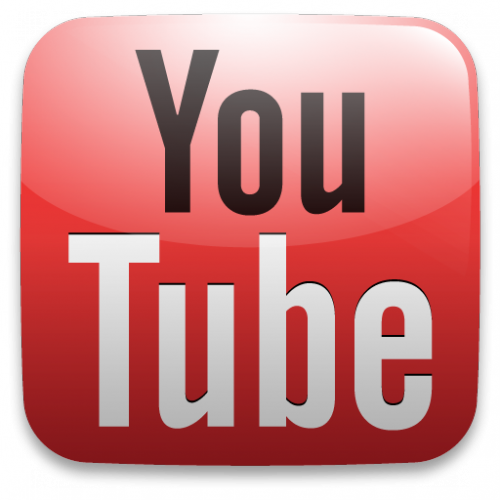 Click here to learn more about Home Safe and view film clips. If you are interested in organizing a screening, contact Kirsten at our Manitoba office at kbernas@ccednet-rcdec.ca or 204-943-0547. 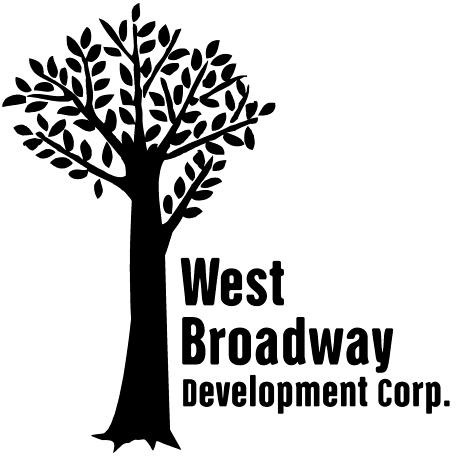 The WBDC is committed to environmentally sustainable social and economic development in the West Broadway neighbourhood. They are a not-for-profit organization working to coordinate and support neighbourhood renewal together with residents, community-based organizations, businesses, government and other partners. 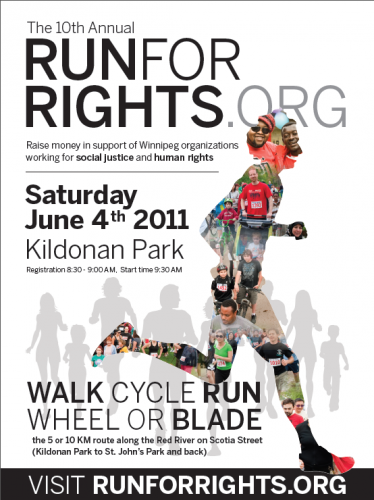 Whether you choose to walk, run, cycle or rollerblade, the 2011 Run for Rights is a great way to get some exercise or warm up for the Manitoba marathon in support of social justice and human rights. The event takes place on June 4 at Kildonan Park. Registration begins at 8:30am. For more information, email run4rights@gmail.com or call Janine at 475-3816. Or download the event poster and help spread the word! Come celebrate the relaunch of the Social Purchasing Portal (SPP) on June 9, 2-4pm at the United Way Learning Centre (580 Main Street). The launch will be an opportunity for the public to learn about the SPP, and for supplier and purchaser partners to meet and discuss socially responsible business in Winnipeg. The SPP is a searchable website directory and networking hub for small, socially responsible businesses in Winnipeg. participants to exchange information and learn about evaluation for improved program planning and delivery. Dates and Times: June 13 - 17, 2011. Monday to Friday, 8:30 a.m. - 4:30 p.m.
Red River College CD/CED Diploma: This two-year program prepares students and practitioners to become facilitators of change in communities that are experiencing multiple barriers to development. The curriculum is designed to help students build on existing community strengths, promote social inclusion and participation, and understand power dynamics and ethical issues. University of Manitoba Labour Studies Program – Workers’ Self Management: Students in this class will examine the theory, history, and practice of workers’ self-management. The course runs two days a week from June 21-August 4. Email labour_studies@umanitoba.ca or call 474-8356 for more information. The tenants of the Albert Street Autonomous Zone (A-Zone) have formed a tenant cooperative and are working towards collectively purchasing their building at 91 Albert Street. 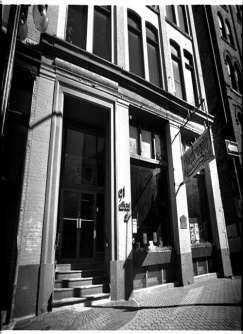 Since 1995, the A-Zone has provided affordable commercial and community space to grassroots collectives, cooperatives, and small businesses in the Exchange District. The A-Zone has reached the halfway point to their $60,000 goal, but they are reaching out to the Winnipeg community for donations and support. To find out more about the project and/or to make a contribution, visit www.a-zone.org or contact Eton Harris at mondragon@mondragon.ca. In their most recent e-newsletter, Food Matters Manitoba provides some info on two lesser known means of purchasing local food and supporting rural economies (aside from the increasingly popular farmers' markets). The first is through a food buying club, like the Harvest Moon Local Food Initiative, which operates six clubs across the city. Community Supported Agriculture (CSA) offers another opportunity, through which consumers buy shares in a Manitoba farm and enjoy its produce and meet. Click here to find a list of CSAs throughout Manitoba. Projects with mandates to support Winnipeg youth are invited to submit an application to United Way Winnipeg for a time-limited funding opportunity. Interested organizations are invited to submit a letter of intent by June 3, 2011. Specifically, projects should support youth living in low income situations, newcomer and Aboriginal youth and youth whose lives are impacted by mental illness. Proposed projects must be time-limited and have clear start and end dates. United Way will consider funding projects up to 24 months in length, inclusive of evaluation. Click here for more information and the Letter of Intent form. Questions: contact Robyn Peters, Community Investment Manager at 924-4242. The Community Economic Development (CED) Pathfinder, developed by the Province of Manitoba, is a quick, easy tool to help you find information, resources, and ideas to help your community develop and grow using the CED process which supports development of the community by the community. 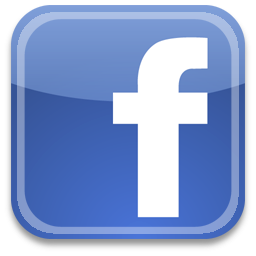 Set up a community organization to do CED. Involve the community in the CED process. Find suitable data and information so that communities can identify their assets and resources, analyze trends over time and identify opportunities. Assess economic trends and find economic opportunities using accepted economic analysis methods. Develop a vision of the future and develop a plan that will strategically move the community towards that positive future. 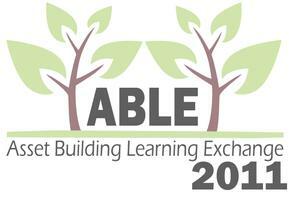 ABLE 2011, being held in Winnipeg on June 6 & 7, draws together asset building practitioners, policy makers and funders from across Canada who are supporting the delivery of innovative asset building programs to people living on a low income. The Conference will be filled with opportunities and possibilities to exchange asset building tools and techniques and learn from practitioners about current asset building programs and topics. This report, titled "Social Business: Advancing the Viability of a Model for Economic and Occupational Justice for People with Disabilities," presents the findings of an environmental scan of social businesses in Canada for people with disabilities. This study systematically catalogues key features of established social businesses in Canada, and creates a taxonomy of social business that is grounded in current practice in order to guide future research activity and offer greater understanding of this sector to policy makers and other key stakeholders. The Community Forward Fund has recently revamped their outreach campaign with a new e-newsletter and recently renovated website complete with a current blog. Their inaugural newsletter features an article on the Tucker House, which runs educational programs on energy efficiency and renewable energy. The Tucker House used their loan from the CFF to purchase new solar panels. The People’s Food Policy Project has developed a policy recommendation aimed at Canada’s new government, titled Resetting the Table – A People’s Food Policy for Canada. The document includes the PFPP’s ideas on how to make Canada’s food system fair, healthy, and ecological. It also calls for an overhaul of Federal policies governing all aspects of food: where it comes from, how it is produced, and how all Canadians can have access to safe and nutritious food at all times. Co-operatives in the United Kingdom have joined forces with a wide range of non-governmental organizations for a petition campaign aimed at reducing the gap between rich and poor. The petition -- which aims to attract at least 100,000 signatories -- was launched outside the Bank of England by leading figures in the co-operative movement, including Ed Mayo, secretary general of Co-operatives UK and Len Wardle, chair of the Co-operative Group. Over 25 prominent NGOs are supporting the petition. In the wake of Making Waves magazine’s end, the Canadian Centre for Community Renewal has launched i4, an ejournal about how we craft more creative, democratic, and sustainable economies in this century of climate change and peak oil. In the tradition of Making Waves, i4 will rely heavily for its technical content (articles of 2-5,000 words) on practitioners, researchers, and policy-makers directly engaged in community resilience and transition. In addition, stories of 5-600 words will act as "gateways" to these and other valuable resources. Don't miss the ACE Institute! The 2011 ACE Institute will be held on July 26-29 at the University of Winnipeg in Winnipeg, Manitoba. The theme of this year's Institute, taking place on July 26-30, is Opening New Doors: Exploring current innovations and asking "what's possible" in co-operative research, education and development. The Institute will include speakers and workshops on a wide range of co-operative issues, as well as co-op tours featuring such well-known organizations as Arctic Co-operatives Ltd., Assiniboine Credit Union, Neechi Foods and Pollock's Hardware.